Also opening this Thursday 14th May at the Pure Evil Gallery on Leonard Street is a new show from MyMo. 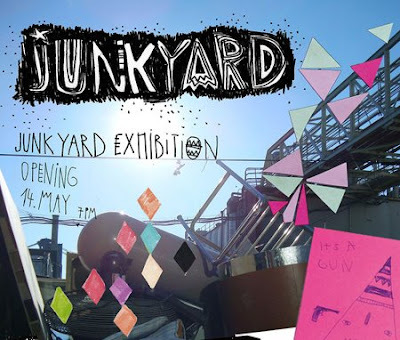 The show entitled 'Junkyard' will feature drawings, paintings and lots of junk!! With roots tracing back to graffiti, Mymo creates “monsters” related to the classic Graffiti Characters, but the works consistently reach far beyond these fundamentals as the artist constantly develops new possibilities of aesthetic expression with the help of various techniques (from street and canvas painting to collage, from animation films to installations).. Life, with all its ups and downs, serves as a primary inspiration for Mymo’s work, and the artist’s monsters serve as a primary medium for communicating the entire spectrum of human emotions. The show opens on the 14th with a preview and runs until the 21st June.